The thing which makes Asia a wonderful spot for spending your vacations is that there are so many fantastic and diverse cultures to be explored. From the busy cities with huge buildings to beautiful islands that have been blessed with nature’s finest beaches, your choices remain innumerable in the largest planet on Earth. Here are some of the best places to visit in Asia which would make your holidays an experience worth remembering. Singapore is a fascinating place with a fantastic system in place that facilitates all types of tourists and travelers. With a magnificent metropolis that contains both beautiful scenic locales as well as wonderful commercial buildings, there is so much to enjoy in Singapore. Many cultures are also represented wonderfully in the city with places like China Town, Little India as well as Western themed restaurants. There is a variety of museums on show too, which tell quite a tale about the history of the region. Merlion Park is one of the biggest tourist attractions in Singapore with two Merlion structures present at the park. Botanic Gardens in Singapore is a wonderful botanic garden with a lot of beauty to be explored. Sentosa Island is an incredibly beautiful resort that includes a wonderful beach, a couple of five-star hotels and Fort Siloso as well. Asian Civilisations Museum is one of the biggest museums in Singapore and provides a great account of the history of Asian cultures and civilizations. Buddha Tooth Relic Temple and Museum is an excellent museum in China Town in Singapore and contains a number of religious art pieces. Hong Kong has the potential to stun one and all with its outstanding and amazing skyline. With breathtaking beaches, fascinating commercial skyscrapers, wonderful five star hotels and outstanding restaurants, the city is every tourist’s dream. The city offers so much to explore and so many cultures to know that it’s a dream come true for any individual who visits the city. Victoria Peak, also called Mount Austin and the Peak, is a mountain top and is a wonderful sight to see and explore. Repulse Bay offers many breathtaking views of the Hong Kong Bay. Ocean Park is a multi-faceted entertainment park with amusement rides, oceanarium and a mammal-marine animal section. Jumbo Floating Restaurant is one of the most exciting buildings in Hong Kong and is a structure of artistic beauty. You must dine here at least once while staying in Hong Kong. Bali is one of the most beautiful cities in the world with a number of breathtaking and scenic locales present in the city, which attract millions of tourists each year. Apart from a number of exotic beaches, the natural landscapes are also a sight to behold for one and all. A number of amazing cultures are also represented in the diverse city with the diverse cuisine being a real-standout. Lavish restaurants, sky scrapers and comfortable hotels make it all the more comfortable for everyone who wants to enjoy a wonderful holiday in Bali. Ubud is one of the major tourist attractions in Bali and is actually a small town which is home to beautiful natural landscapes. Uluwatu Temple – Pura Luhur is a wonderful historic temple which was made to keep all evil spirits away from the city of Bali. Pura Tanah Lot is a temple which is surrounded by some of the most exotic scenery in the world. Pura Ulun Danu Bratan is a sight to behold and is one of the two water temples present in the region. Dolphin sightings at Lovina are also one of the most enjoyable moments for any tourist in Bali. Events are organized at Lovina beach especially to give people a view of the beautiful dolphins. Party at Kuta Beach: Kuta Beach is an outlandishly beautiful beach in Bali and parties are held each day by the local organization to keep people entertained. It’s one party you wouldn’t want to miss while in Bali. One of the best places to visit in Asia is Penang. Penang is the home to a number of beautiful resorts and inspiring beaches which can leave everyone astounded. Apart from the scenic beauty of these beaches, the historical landmarks in the city are also worth watching. The city is also home to a number of museums that tell a story of their own on Chinese heritage and culture. Moreover, you will also find a number of entertaining amusement parks as well in the city which will make the trip all the more worthwhile. 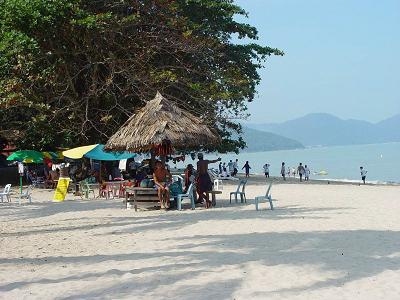 Batu Feringghi is a wonderful beach area in Penang and contains hotels and restaurants along with the beautiful beach. Arulmigu Karumariamman Temple is a wonderfully built South Indian temple whose building is a sight to behold in itself. Bukit Jambul Orchid & Hibiscus Garden is a serene place in Penang which is full of sights of beauty and calmness. Bukit Mertajam Recreational Forest is a recreational park and is a major tourist attraction in the region. Maldives is one of the most beautiful places in the world and has some of the world’s most scenic locales. There is no better get away from the hustle and bustle of everyday life than a holiday in the beautiful area of Maldives. The beautiful shores, the classic white beaches and the amazing reefs make most of the tourist attractions in Maldives and they are sights that you should not miss! Bluetribe Moofushi is a dive center in Maldives which is famous for its exotic marine life. Alimatha Island is full of sights of scenic beauty and is one of the best places to visit on a Sunday morning. Banana Reef is one of the most well-known coral reefs in Maldives and is one of the biggest tourist attractions in the region. HP Reef is another wonderful dive sight through which you can have a closer look at marine life. Manta Point is extremely famous because you can see the beautiful manta rays here. Beijing, the capital city of China, is the cultural home of the country. The city has a number of cultural and traditional landmarks while the Chinese civilization can be seen in its full bloom in the city as well. Apart from historic landmarks, the city’s beautiful skyline always presents a sight to behold too, while the unique Chinese cuisine is also worth checking out. The Forbidden City is a historical landmark that narrates a tale of China during the rule of the Ming and Qing dynasty. The Great Wall is a brick and stone wall that is counted as one of the wonders of the world. The Summer Palace is a small city on its own and consists of lakes and castles. Ming Tombs hold a lot of cultural and historical significance and holds the bodies of the Ming dynasty. Bird's Nest and Water Cube is also a wonderful tourist attraction in the city of Beijing. The cultural festivals, the religious temples, the historic landmarks and the natural beauty of the place make Chiang Mai the biggest tourist attractions in Thailand. With the extremely inviting Thai people, Chiang Mai sets the most beautiful background for all tourists to explore the culture and civilization of the people living in this region. If you want to catch a break, Chiang Mai is one of the best places to visit in Asia! Doi Suthep is a wonderful mountain top in the region which is blessed with natural beauty. Chiang Mai Zoo is world famous for not only the animals but the cultural activities that are on show. Chiang Mai Night Safari is another wonderful cultural activity which shouldn’t be missed while in the city. Wat Chedi Luang is a Buddhist temple which is well-known for its historical value. Wiang Kum Kam the Underground Ancient City is a recently found city from the ruins and tells a history of its own. If you want to see how tradition mixes with the popular and modern culture of Japan, you must visit Tokyo. It’s the place where you will find outstanding temples that tell a tale of their own along with karaoke bars and skyscrapers. With beautiful rivers and bustling markets, imperious palaces and history-laden museums, Tokyo is a place where you will find it all as a tourist. And you won’t be short on appetitie either with the Japanese cuisine keeping you hungry for more at all times! Sensōji is a beautifully built Buddhist temple which is reflective of the artistic belongings of Japan. Nakamise is a shopping street which is always full of citizens with shops and bars on each side of the street. Meiji Jingu is the shrine of the well-remembered Japanese Emperor Meiji and his beloved wife. Cherry Blossom Festivals (from March 20 to April 8) hit the city from the 20th of March to the 8th of April in Tokyo and if you plan on visiting Tokyo in this time period, you wouldn’t want to miss out this festival.